Attendees both days got to take the eCanter for a brief ride-and-drive on the streets of New York. 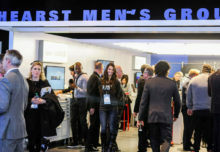 Product launches in the trucking industry typically take place in a convention center or even at the factory. But for Mitsubishi Fuso, a division of Daimler and maker of the first mass-produced zero-emission truck, the eCanter, that just wasn’t going to do. 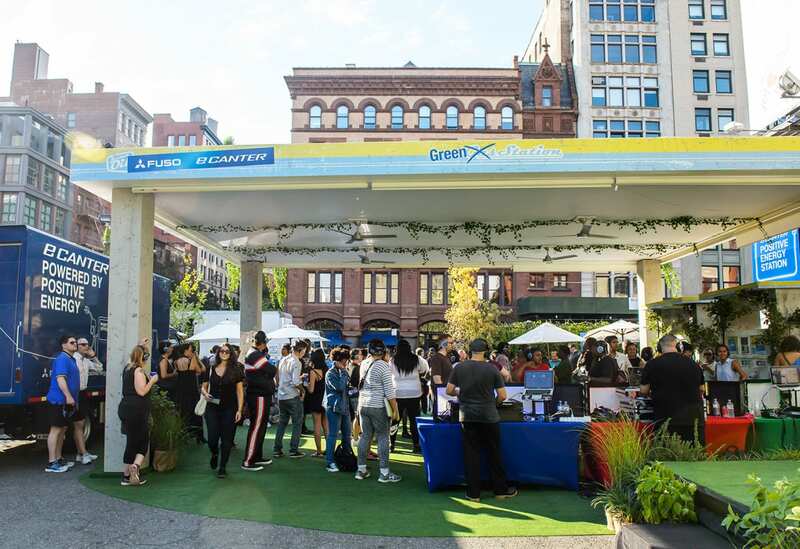 Instead, Fuso turned to the city of New York where on Sept. 14 and 15 it transformed an outdoor parking garage into a green space that represented eCanter’s positive energy features—the fact that it is quiet, promotes a cleaner environment and requires less maintenance than diesel trucks. 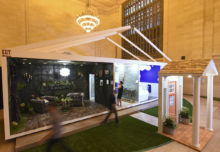 The space, dubbed the Positive Energy Station, featured a concrete floor covered with grass, and ivy curled around the gas pumps—a visual nod to how the all-electric eCanter will help reduce the need for gas stations in the future. 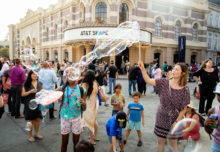 After the official unveiling of the truck at a global media launch event, afternoon workshops rounded out the experience. 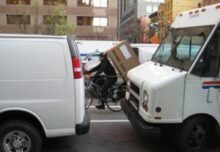 On the second day, fleet directors and managers, logistics companies and brands that specialize in deliveries attended a series of similar presentations, including a talk by directors of New York City’s sustainability and fleet management departments. Attendees both days also got to take the eCanter for a brief ride-and-drive on the streets of New York. 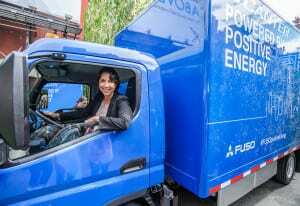 Following the daytime events, as part of a strategy to reach consumers with its sustainability message, Fuso opened the Positive Energy Station to a wider audience at night. The first evening featured local artists who created artwork in the space. Attendees also could hop on a “smoothie” bike that powered a blender as they pedaled. On the second night, a silent disco took place, with attendees’ noise-cancelling headphones reinforcing the benefits of eCanter’s quiet electric engine. “Imagine a world where the noise is less because the majority of the vehicles producing these sounds is going to disappear. At our two events and the silent disco, we wanted to make that clear,” says Bryan Allen, marketing manager at Fuso. Fuso will supply a fleet of the trucks to several New York City non-profits and United Parcel Service has signed on as its first commercial customer in the U.S. Agencies: AGT International; The Michael Alan Group, both of New York City.